Hello! To those of you new to Irish Fiction Friday (IFF), welcome, and for you die hards, Slainte! Every week we feature a free extract from a piece of Irish SFF fiction. Sometimes it’s a native author, sometimes someone who moved to our emerald shores, and sometimes, as with today, it’s a piece that uses Ireland within its tale somehow. We’ve featured several pieces of Irish folklore and mythology so far, as they are popular topics for fantasy literature, and showcase our wonderfully rich history. Irish legends are rich in the telling and we’ve had everything from weredeer to islands of angry smiths. We’ve also had several contemporary retellings, drawing from the Book of Kells and traditional folklore to craft beautiful stories and art. However today, we are bringing you a story set within a medieval Ireland, from a master storyteller with a long history of using celtic mythology to inspire her work. 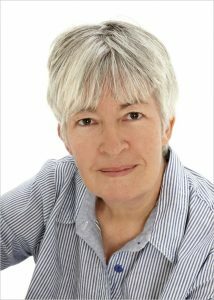 Juliet Marillier’s haunting writing has used Celtic lore as a touchstone for her work throughout her career. We usually present an extract in text form, but today, the sample consists of the first 30 minutes of her new book Dreamer’s Pool, read by Scott Aiello, Natalie Gold and Nick Sullivan. 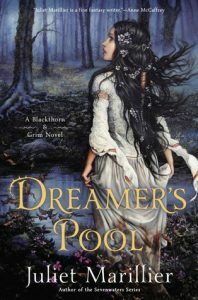 Dreamer’s Pool is the first in Juliet Marillier’s new series Blackthorn and Grim, and the second book, Tower of Thorns, is released this month. As usual it features a resourceful heroine who needs to overcome challenges, danger and adversity before she can win through. Marillier’s writing is perfect for a rainy day when you need to curl up with a cup of something warm and a sofa with a pet on it. Audiobooks are also a wonderful way to unwind on a commute or late at night when the mind weasels come a’preying, so we really hope this IFF is soothing for the soul! Then Part 2: Going International. Rob Hansen.